I stopped my bike and paused, one foot on the trail, the other still clipped into its pedal. I stared at the narrow path in front of me. To either side was a steep drop into a valley below. I took a breath, released the brakes, and rolled, letting gravity do the rest. 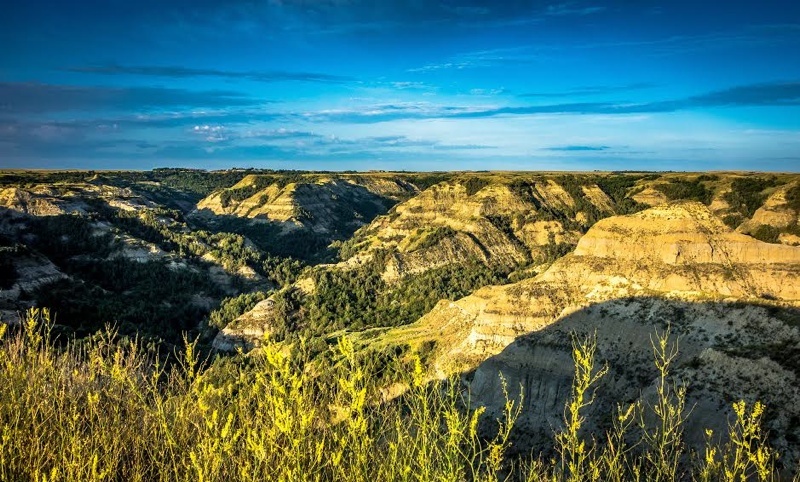 It was early on Saturday, August 2, and I was about 30 miles in on the Maah Daah Hey, a 100-mile singletrack trail that snakes through the beautiful and remote badlands of western North Dakota. Two weeks ago I lined up at the start of the annual Maah Daah Hey 100 with more than 100 other mountain bikers. 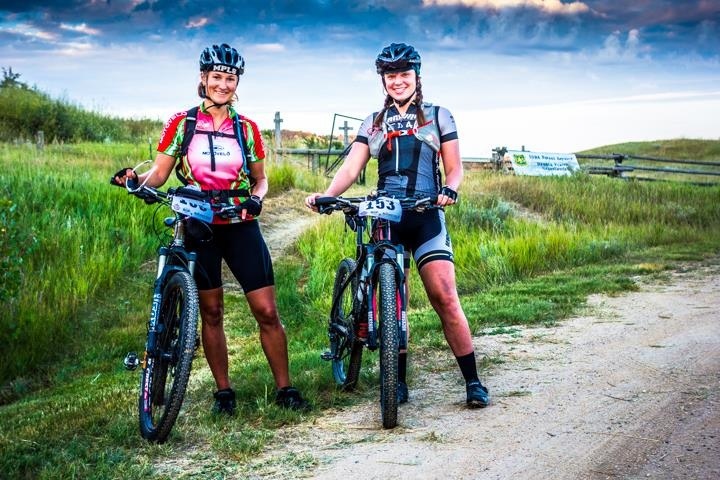 The course, which involved riding the length of the namesake trail to Medora, N.D, is one of the toughest around. I’ve done my fair share of endurance racing, but the Maah Daah Hey was the farthest I’ve ever mountain biked on singletrack. Racers have 18 hours to complete the point-to-point race. Along the way, aid stations every 25 miles provide water, soda and snacks. Racers are allowed one drop-bag filled with gear at each of these stops — a welcome oasis in the remote wilderness. Rolling up to the starting line I knew that GearJunkie/YogaSlackers team racer Chelsey Magness was the only woman to complete the race before me. To say that I was nervous would be an understatement. But all those nerves went away when the race director, Nick Ybarra, shot a gun to signal the start of the race. I kept pace with the racers around me as we formed a line entering the trail. I felt comfortable and confident as I pedaled. The first 50 miles seemed to fly by! I ate and drank on schedule and was feeling great as I rolled into the second checkpoint. The Maah Daah Hey trail is unlike any other singletrack I’ve ridden. 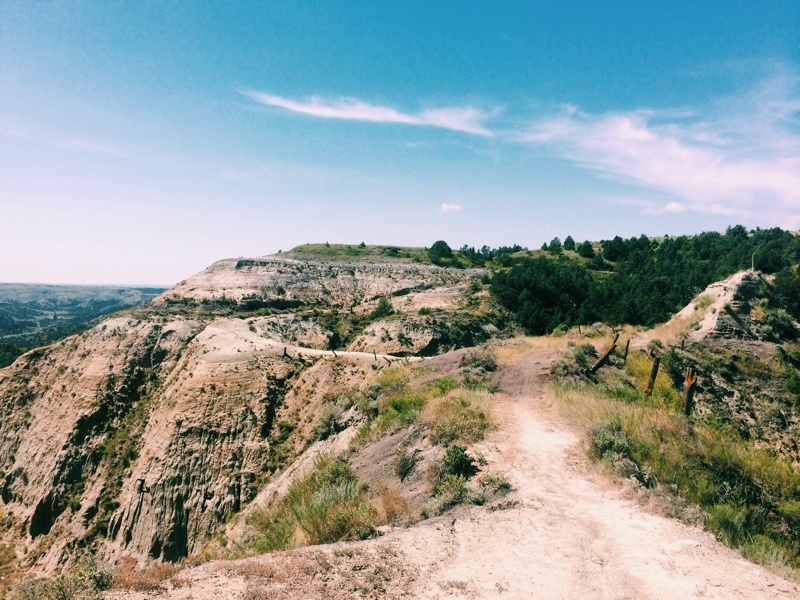 It’s rugged, wild, and exposed. 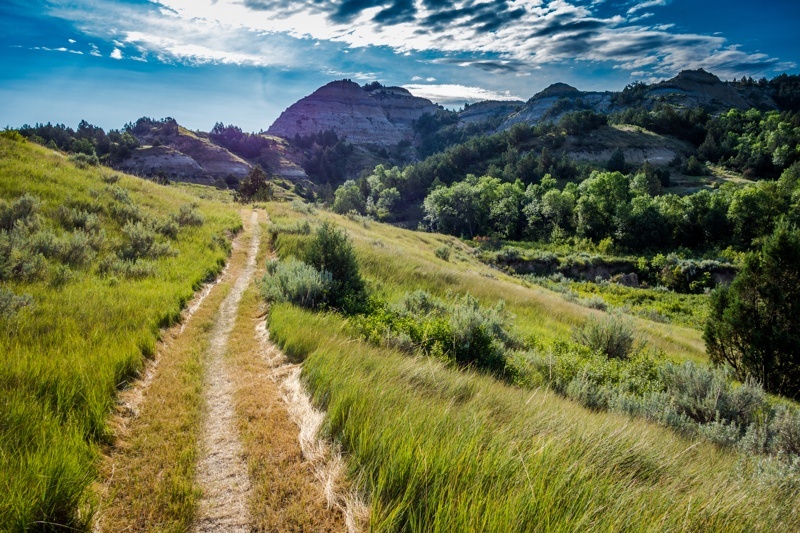 The trail swoops across flat buttes, wide-open grasslands, and cattle ranges. 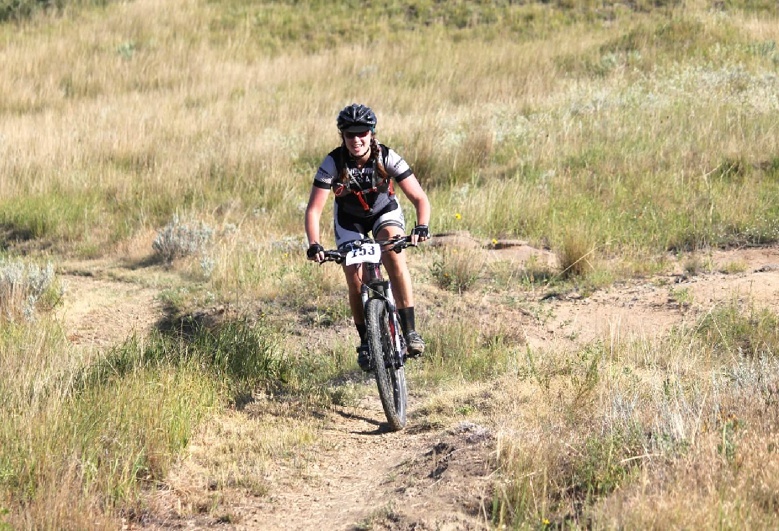 But not all of it is fast and fun — the trail has more than 12,000 feet of climbing and descending. Everyone has to push their bikes at some point on this trail. Some washed-out trail sections could send a rider over the bars in an instant. Heat during the race was oppressive. There was little shade. My pace slowed as I watched the temperature on my Garmin reach 104 degrees during the middle of the day. I started feeling sick. My legs cramped, and I had chills. I knew I was not doing well. But I found some shade, took a few salt tabs, drank a whole bottle of Endurance Fuel from Tailwind Nutrition, and sat until I cooled down. Time was ticking away. I knew I still had a large chuck of the course to complete. I checked my Garmin and timed each remaining mile. But at this point, even the smallest hills seemed like mountains. I pushed my bike more than I rode it for the last 10 miles. But the finish was in sight! After 17 hours and 45 minutes (yep, 15 minutes before cutoff) I rolled across the finish line. My friends who had finished hours before cheered me on. I was tired and filthy, but I had made it! I was the 5th female to complete the 100-mile course that day, and the 6th ever to do so in this race. And by my calculations, at 25-years-old, I am (unofficially) the youngest woman to ever ride the Maah Daah Hey in a day. The pain was worth the reward, and completing this remote and wild race, regardless of time, felt huge. 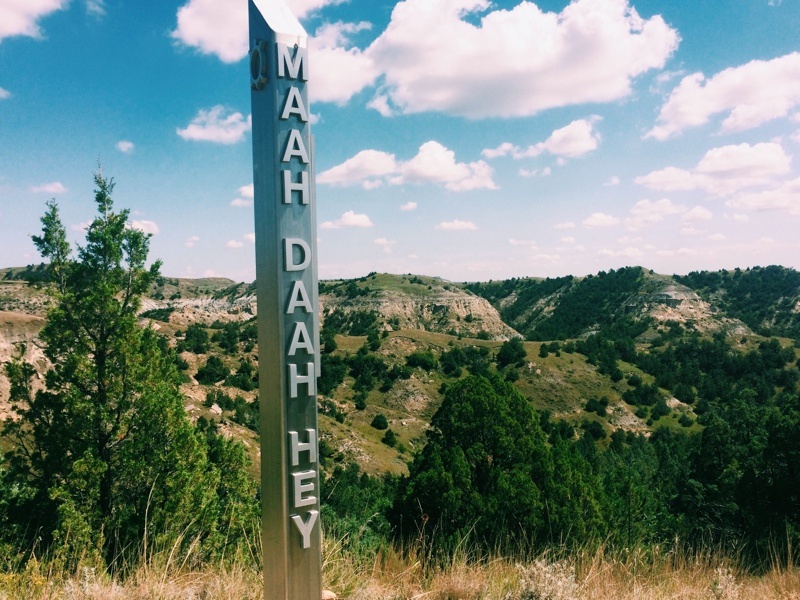 If you’re looking to test yourself, the Maah Daah Hey 100 offers a challenge unlike any other.